Many Say this Hawaii Activity was the Highlight of their visit. 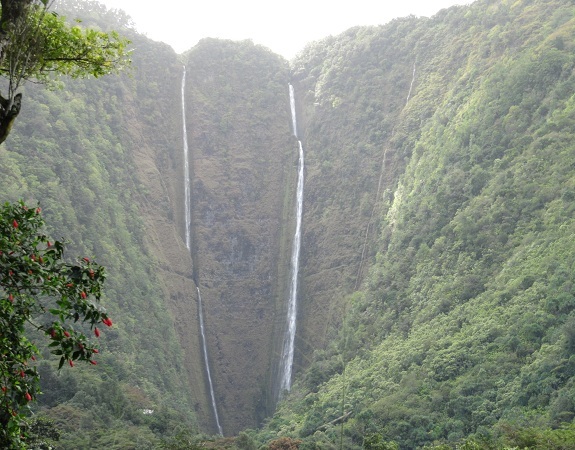 A visit to Waipio Valley is one of the top activities on the Big Island. Waipio Valley is a must see for a Big Island Visit and is the second most visited site on the island, second only to the volcano. Pickup location. We will meet you at the Neptune Gardens/Last Chance Store in Kukuihaele, off Hwy. 240. From Honoka'a take Hwy 240 to 8 mile marker. Bear right at Y and proceed down hill about 1/4 mile to Last Chance Store on right. This location offers snacks & beverages for purchase, and gifts. About 2 hours from Kona, and about 1.5 hours from Kohala resorts or Hilo. If you arrive early, you can Make the short drive to the Waipio Lookout which is an excellent place for pictures. 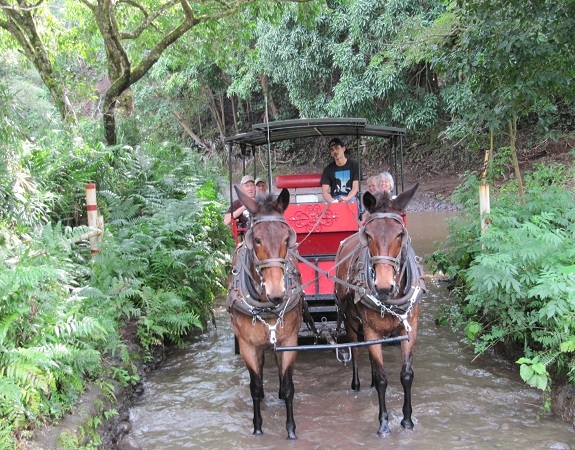 are copyrighted and are the property of Waipio Valley Wagon Tours.